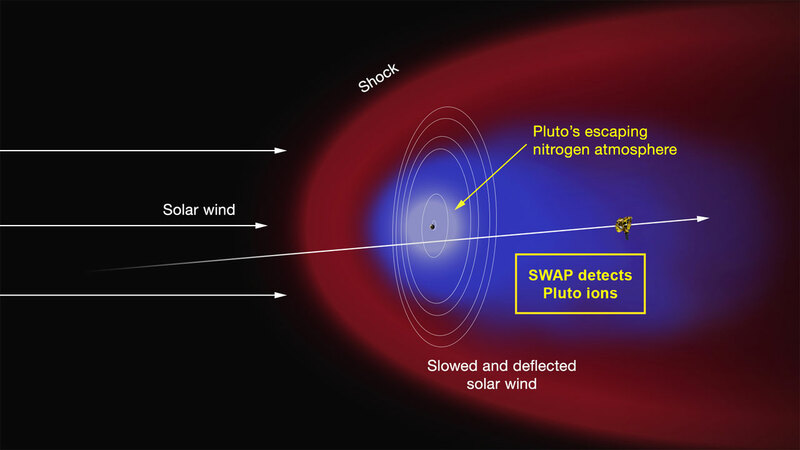 NASA’s New Horizons Spacecraft has discovered a region of cold, dense ionized gas tens of thousands of miles beyond Pluto – the planet’s atmosphere being stripped away by the solar wind and lost to space. 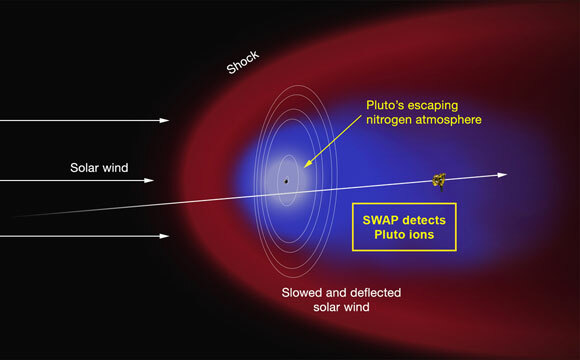 Beginning an hour and half after closest approach, the Solar Wind Around Pluto (SWAP) instrument observed a cavity in the solar wind — the outflow of electrically charged particles from the Sun — between 48,000 miles (77,000 km) and 68,000 miles (109,000 km) downstream of Pluto. SWAP data revealed this cavity to be populated with nitrogen ions forming a “plasma tail” of undetermined structure and length extending behind the planet. Be the first to comment on "New Horizons Reveals a Dense Region of Atmospheric Ions Behind Pluto"